I have always liked glassware, usually various colors and shapes and have taken to collecting odd vases and jars through the years. 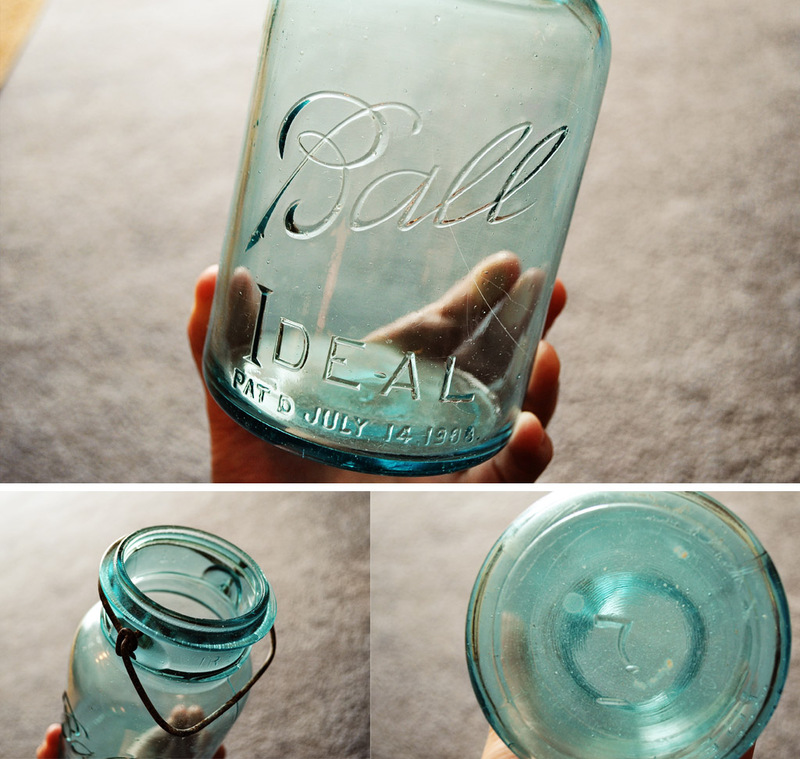 A few years ago, my grandparents gifted me a few of their old Mason Ball jars they had stored in the basement. One was a “Perfect Mason #11” and one was an “Ideal”. Up until this point, I really didn’t know how old they were or too much of the history of the ball jar but I always knew they were quite old and many people like to collect them. They have been in my kitchen now for over a decade and who knows how long they were in my grandparents canning room so I thought today was the day that I scour the internets trying to find some backstory on this wonderful piece of history. It’s pretty easy to see the difference between the two in the “Ball” script. 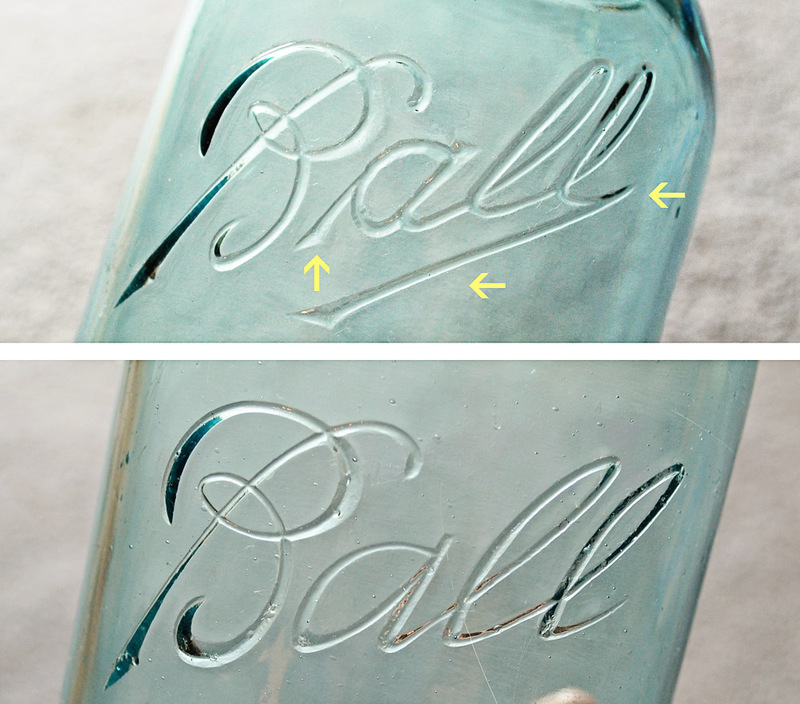 Jar 1 has “ascender” on the letter “a” in Ball as well as a full underscore line under the whole word “Ball”. According to a few sites I’ve read that immediately dates it somewhere between 1910-1923. 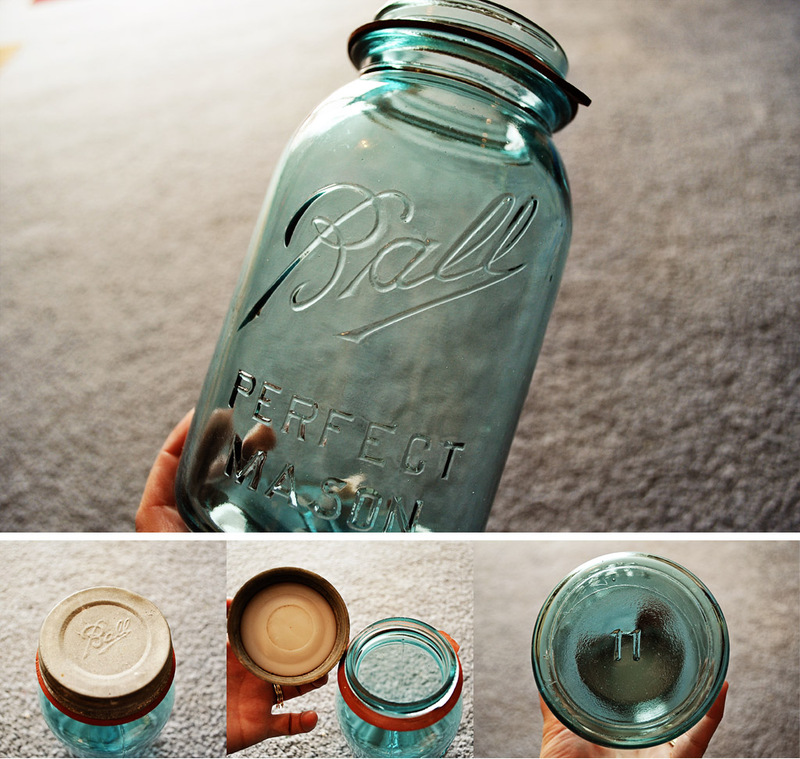 The second jar has an “open B” in the word “Ball” and no underscore. This dates the second jar between 1923-1933. These are averages but good enough for me. The patent date is just that, it also doesn’t “date” when the jar was made. Also, the numbers on the bottom of the jars just mean the mold number and unfortunately don’t help date the jars any better but I thought it was interesting that the second jar’s bottom number doesn’t really look like a number. Is this a defect? Was this a 7 or 2 skewed in the process? Who knows! Either way, I dusted them off, cleaned them up and now they reside back on my kitchen shelf where they belong. You find the most amazing ideas. 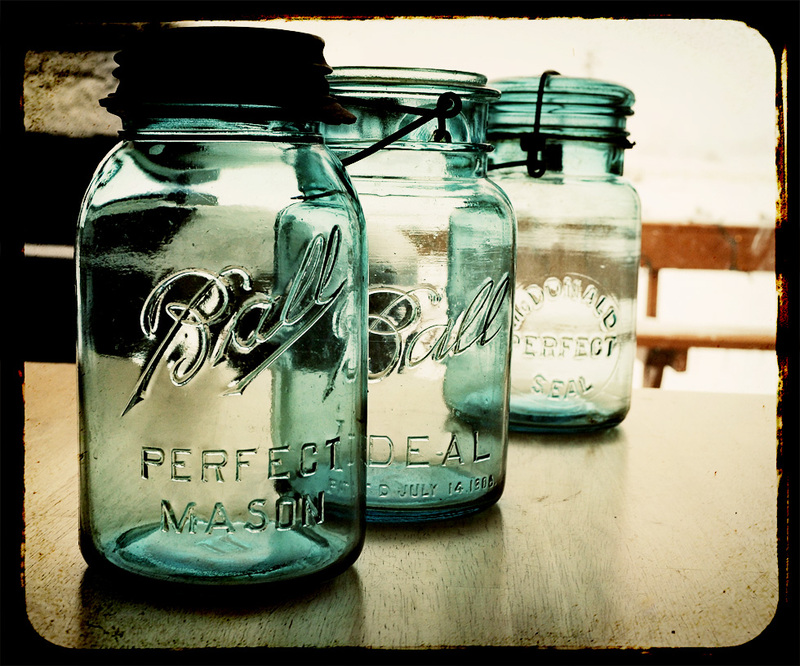 i would absolutely love a country porch with a mason jar light and a wooden rocker. how neat.